FROSIO is the leading certification body for inspectors of surface treatment and isolation. Benefit from the expertise of our level III coating inspector, who is recognised worldwide. Our commited experts for corrosion protection of steel constructions guarantee the realization of corrosion protective measures, supporting you from the first plans up to the site’s approval! In 1986, the Norwegian Professional Council for Education and Certification of Inspector of Surface Treatment (FROSIO) was founded in Norway. Since 1987 the Council issued certificates for surface treatment inspectors. Our inspector meets all knowledge- and expertise- based requirements of the FROSIO certification scheme. Painting and coatings play an important role in preventing the corrosion of steel and other metallic constructions. Strict demands must be set to surface treatment to guarantee optimal corrosion protection and to satisfy the quality and durability that is demanded. Inspection at all stages in this procedure must be ensured. The inspectors must have thorough knowledge of climatic conditions, paint and coating technology, inspection routines, standards and guidelines. The FROSIO certification scheme provides the theoretical and practical knowledge to meet the requirements of carrying out inspections as well as having knowledge of the methods of protecting constructions, safety and the environment. FROSIO Level III certification includes all methods of coating, pre-treatment, surface preparation, while leading and monitoring each technical step of treatment. A qualified FROSIO inspector also provides assessment and training for your team. Frosio inspectors have passed all relevant examination and are able to do all kinds of application, that are involved in the protection against corrosion. We have a certified FROSIO Level III inspector in our team who is educated based on lectures, demonstrations and practical use of instruments. 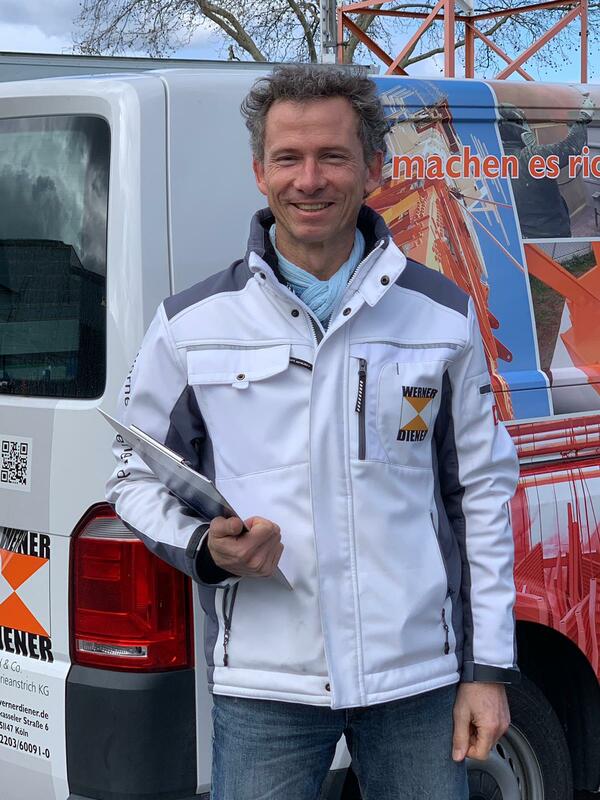 Our FROSIO Inspector Level III, Sven Svoboda has all relevant inspection experience and also BGAS, NACE and SSPC-certification. Please contact us to be sure that you meet all demands for excellent corrosion protection and treatment. Which measures are you planning? Let’s discuss your plans! Are you planning a project? Are you looking for a main contractor? Are you already planning the project? Drop us a line! We’ll help you realising the project!